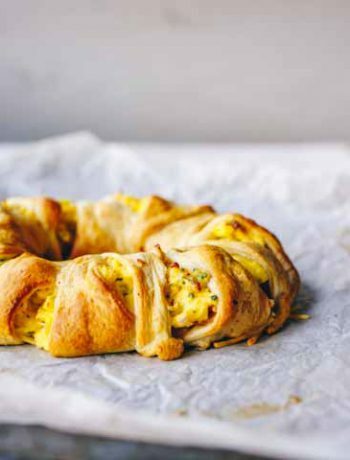 Wraps are a great substitute for bread and can be eaten with many different ingredients. You can make them sweet, savory, healthy or vegan. 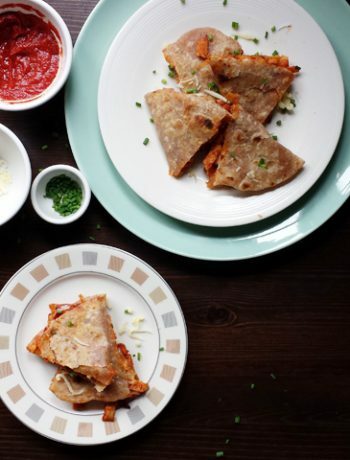 This recipe is made with these tasty smart wraps which are in fact really smart. These tortillas contain chia seeds and up to 8 grams of protein per wrap. I like the fact that you can eat these tortilla wraps cold and using the chia smart wraps you get some added flavor. 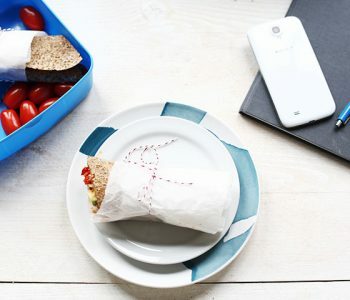 So how do I make these tortilla lunchbox wraps? 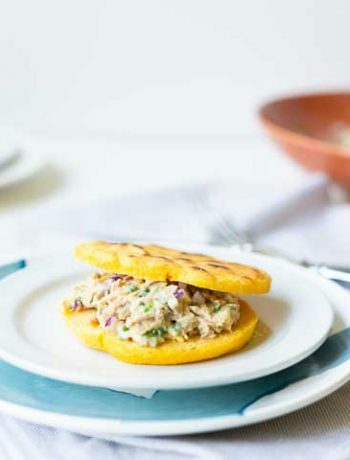 First start with one Chia tortilla wrap or use a regular flour tortilla. Then cover the bottom with a red or green tapenade like I made with the tortilla bread recipe. Now put some slices of turkey on top of the tapenade and cover with grated cheese. Then some sun dried tomato. Be sure to let them sit on a paper towel to remove excess oil else the tortilla wrap can get a bit soggy. Finally slice an avocado in thin slices and put on top of the tomatoes. Roll the tortilla tight and cut it in half. 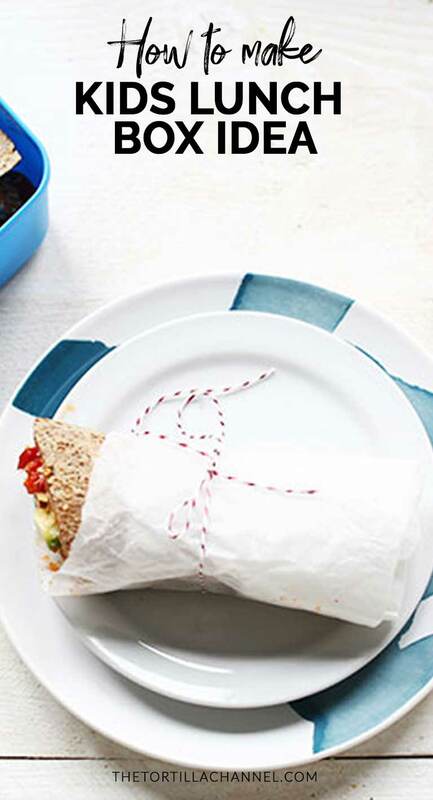 Then wrap the tortillas with some parchment paper or aluminum foil and put in a lunch box. Include some additional cherry tomatoes in the lunch box. These lunch wraps are really filling and one wrap will be more than enough for 1 child. 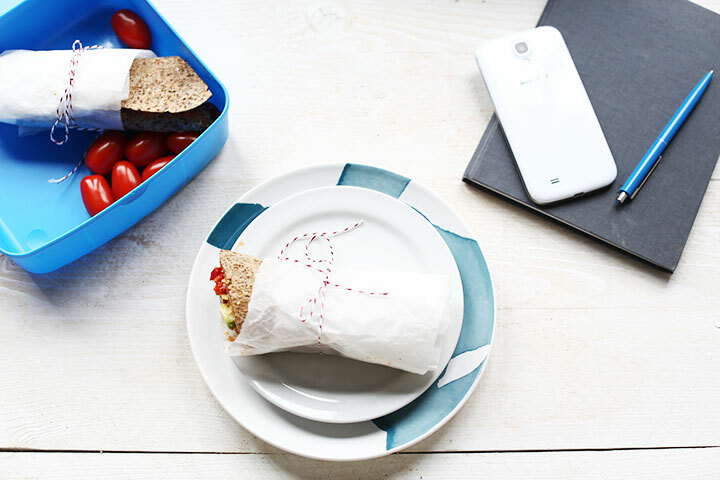 The combination of turkey, cheese and avocado give it a great bite together with the chia wrap. Have fun with this healthy kids lunchbox idea! Made a recipe tag @thetortillachannel on Instagram or PIN it on Pinterest and follow me here. 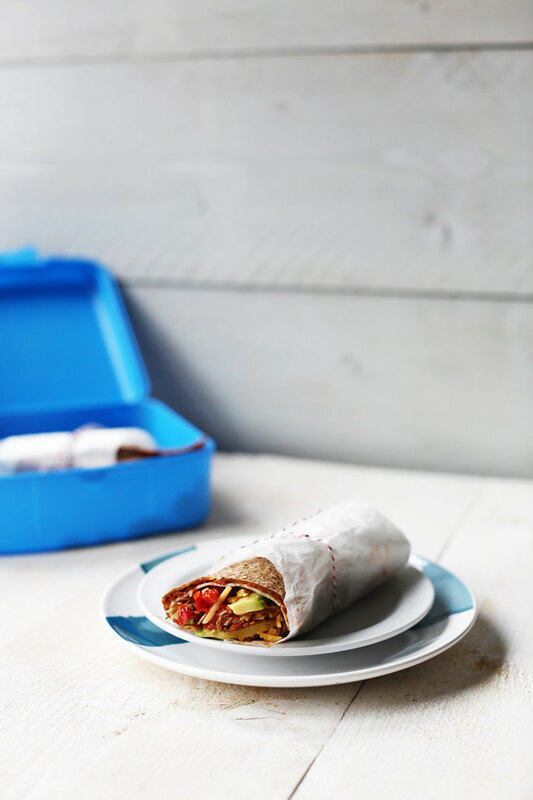 How to make healthy kids lunchbox smart wraps with Chai wraps. These contain 8 grams of protein and that are great for grown ups too. Lets get started!